Effective Tours Blog. – Free Channel Manager, GDS, IDS. Free Channel Manager, GDS, IDS. Guests Resrvation Card is simple ! AirBnB – Two-way inventory support. Are you tired to fill in Guests Reservation cards ? Then we have a good news for you, starting from today, we will start geretaing for you Guests Resrvation Cards. The card automatically creadted on each new booking. In case of any amendments, it will be updated within few minutes. You can find the link to PDF card in your Dashboard, under the “little man” icon. You can also send a request to us with your hotel logo attached. And we will personalise your voucher by implemeting it. AirBnb is a quite popular OTA for many hoteliers. Many of you, prefer starting from AirBnb due to its easier interface and no strict requirements. We are happy to announce, that starting from July, two way inventory integration with AirBnB is available in real-time for everybody. By using Effective Tours you can control AirBnb availability; additionally all new bookings from AirBnb will be placed on Effective Tours agenda within 10 minutes since the booking is made. 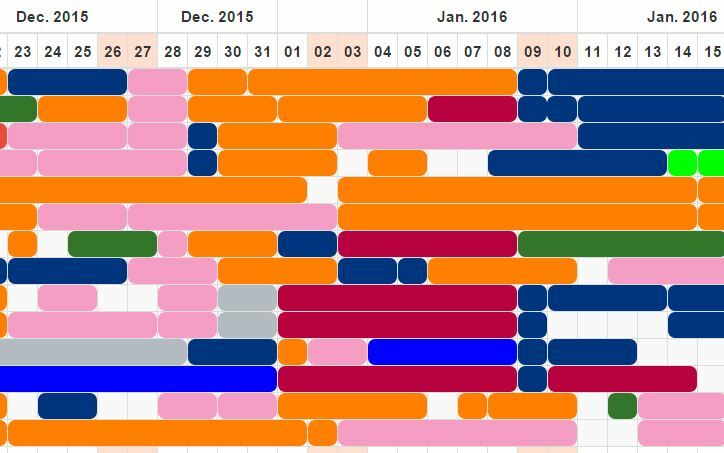 As a Channel Manager, Effective Tours will update all of the connected calendars (Agoda/Booking/Expedia) as soon as the new booking/cancellation appears from AirBnb. Unfortunately, AirBnb still are not open to any third party software updates for the rates, so you have to update your rates manually through Airbnb interface. But at least for now – availability will be updated automatically, this gives you more time for the business, not for mouse clicking in OTA interface. If you are already using AirBnb and thinking about adding your property to other Online Travel Agents- you can’t find a solution better than Effective Tours. Please contact our team, for activating instructions (free of charge). We are proud to say, that we are fully certified partner of Expedia Network! By adding the Expedia as a valuable partner, we open for all our clients the opportunity to be published at Expedia, Hotels.com, Homeaway and hundreds of business partners of Expedia networks. And as always, we provide this channel manager connectivity free of charge to all of the Srilankans. Welcome on board ! 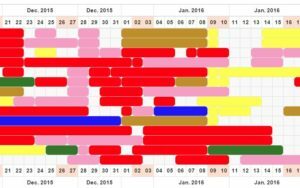 Effective Tour has a powerful feature of working with offline travel agents, in a way very similar to an OTA. As you might know, you can connect any agent and provide them separate rates and gives full access to your rates and inventory. To make this cooperation more similar to the OTA, we create the access rights which you, as a hotelier can setup for each connected agent. So you can decide what the agent can actually do. 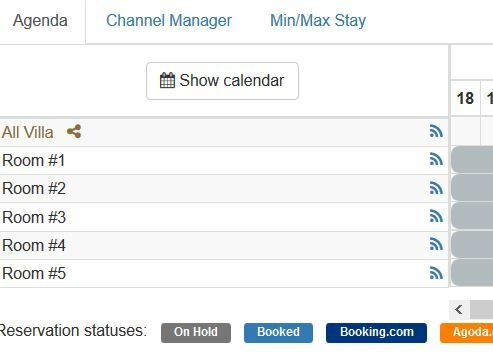 Only view the availability of the rooms, allow them to hold the rooms or even do the immediate booking same as Booking/Agoda/Expedia did. Read more at Setting up the Agents Access rights. The longer the next booking, the more chances that it will be splitted between several rooms. 2 dyas in one room, 1 day in another one, then again back to the first room and then at the for 3 nights for another one. It’s a headache for a hotel, but much worse, that it’s very bad for a guests. To avoid that, it’s always a good idea to reallocate existing bookings, so they will go one by one, without any gaps between them. When you have free rooms, then it’s not a problem, but when you are full like on the screenshot above, our new feature of Reservations Swap will help you a lot. With a few clicks, you can swap any booking with any other(s). Remove the gaps, and settle the problems. We just released a new plug-in for the ET, which you can request from us to activate, it’s called Auto Email/Triggers . It allows you to send automated email to the guests depending on the events like new Booking, Cancellations, Amendments, Check-in and Check-out. Trust me, this feature is a real must-have if you want to show yourself as a good and polite hotelier. By showing your hospitality from the first minute since booking was done and up to the check out date, you create a very positive picture of yourself for your guests, which later will brings you higher reviews scores. Not quite often, but sometimes you need to amend the existing booking from the OTA without notifying the guests. So let’s say you need to close the room for the urgent repairing and the guest arrives in few days and there is no more rooms available in this category. In this case you just need to relocate the guests to another room, in most cases higher level. They way of official amendments for the bookings from OTA is a big headache. So with Effective Tours it’s very easy. Simply click on the existing reservation in your agenda, and change the type of room. As a result, the original room became available and you can close it for the bookings. And the new room type became busy and the amount of rooms available for the OTA and agencies will decrease. It’s very important to understand, that this amendments will be valid until any updates for this particular booking will come from the OTA. In case of any amendments from the OTA, the booking will get back to the original position. You will be notified and can relocate it again if needed. Choose your colors for the Agenda. Private villas and small hotels with an average capacity of 6 bedrooms, usually prefer to rent out the full property rather than individual rooms. It’s much better to host one big group, instead of daily check-ins and check-outs. There is many factors influencing your sales strategy – low season is the main concern. That’s when villas start selling on room basis rather than the whole villa. It sounds simple to use Whole Villa option in Channel Manager Agenda, but if you are looking from the technical side – if you rent out at least one room from the property you can’t rent a whole villa for this period. If you are dealing with different distributions channels, you have to keep an eye on your reservation tab. If you rent out one room on Booking.com, then you have to stop sales of the whole villa on AirBnb, and vice versa. Everything becomes easier with a new feature of Effective Tours called Virtual Rooms! Virtual Room – is a room which has nothing physical under it; Virtual Room depends from one or several physical rooms. 1)So, you have a 5 bedroom villa. 2)During the off-season you want to rent out each bedrooom separately. 3)You have to enter this 5 bedrooms as a separate physical rooms inside the Effective Tours Rooms Configuration. As a result you will get a new Room called All Villa , which depends from other 5 rooms as you can see on the screenshot. From now, you can sell All Villa and Rooms independently! For example on AirBnb, you can offer the whole villa, but on Booking and Agoda, you can sell property by rooms. If you will get a new booking, for one night, for one room, then the whole villa booking will be blocked for this one night. However your property will be still bookable on the ramaining rooms, so 4 other rooms will be still available. Same way, if you sell a whole villa for 1 night, then all 5 rooms, will be marked as sold out, and you will never have a double booking again. ATTENTION!!! Please always remember that you can’t sell in one distribution channel Normal and Virtual rooms. In a worst case scenario you will OVERBOOK your property. It’s very important to understand this point. IF somebody decides to book the whole villa and at the same time somebody else books 1 exta bedroom, it means that you will have overbooking for one room. As you can see, with Effective Tours, you can create very complicated configurations, without any headache for you. Feel free to ask us, in case if you feel any difficulties with configuration, we are always here to help. Exporting rates and inventory to Excel spreadsheets. If you still have old-school agents, who prefer to work with Excel spreadsheets, or you need to give a hard copy of your rates to particular agent, or you simply want to have your own, offline copy of the rates and inventory, then you have to request us to activate the Excel Export Feature. Effective Tours Excel Export allows you with once click, import any particular hotels of yours, or all of your hotels to standard Excel file. While exporting the rates, you can choose which mark-up to use. ET will automatically add the relevant markup value to the rates and give you a final file within 1 second. Same way you can export your rooms availability and get a nice Excel file for your offline needs.